In this Oct. 30, 2008, file photo, Sen. John McCain is seen with his daughter Meghan McCain in Defiance, Ohio. Former Vice President Joe Biden sat with McCain for 90 minutes last Sunday, according to people close to both men. Biden followed McCain's closest friends, Sen. Lindsey Graham of South Carolina and retired Connecticut Sen. Joe Lieberman, who visited McCain at the Mayo Clinic in Phoenix two weeks ago. 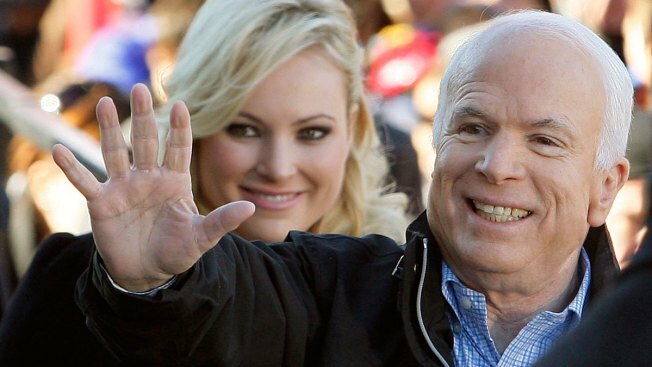 McCain's daughter, Meghan, tweeted Friday that she was heading to her father's side. McCain has amplified his call for more civil politics since his diagnosis in July with glioblastoma. 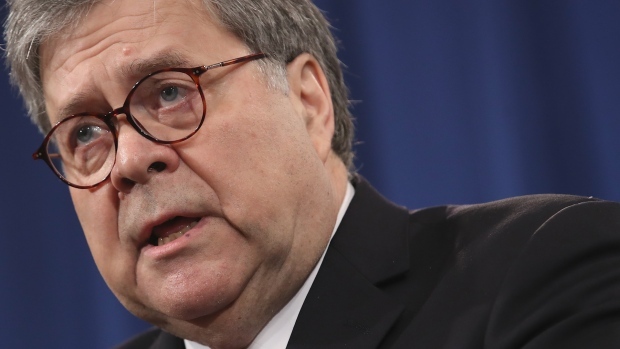 It is the same rare and aggressive brain cancer that felled his friend, Democratic Sen. Edward Kennedy, at age 77 in 2009, and Biden's son Beau at 46 in 2015. McCain hasn't been seen in public since December, just before he was hospitalized for a viral infection at Walter Reed National Medical Center in Maryland. He then returned home to Arizona to recover, do physical therapy and continue cancer treatment at the Mayo Clinic. On December 17, his office issued a news release saying he was looking forward to returning to Washington in January. NBC News confirmed a report by the New York Times, that people close to McCain had told the White House that he didn't want President Donald Trump to attend his funeral and instead wanted Vice President Mike Pence to be there, according to a source close to McCain. NBC also confirmed with the source that former presidents George W. Bush and Barack Obama would be eulogists. "@SenJohnMcCain and I are home in our beloved Hidden Valley enjoying a glorious Arizona sunset," the tweet said.